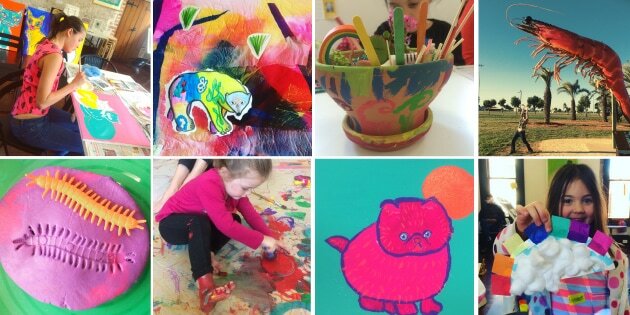 This Term at Inkling we are getting down to some serious work building our Art Muscles. This means we will be drawing, painting and sculpting up a storm to get ready for an amazing year of making incredible art together. Tiny Art Class - Paint, sculpt, draw and explore together..
Dreamscape - Be inspired by your dreams to create a floating landscape. Painting, embroidery and film-making. The Art of Pokemon - This term we will be drawing and sculpting our favourite characters. Drawing and sculpting. Wild Teens - Live animals and art! Drawing and painting and collaging. Nature Club - Learn about the natural world and make cool art.